Think you can handle the world’s biggest fighters? 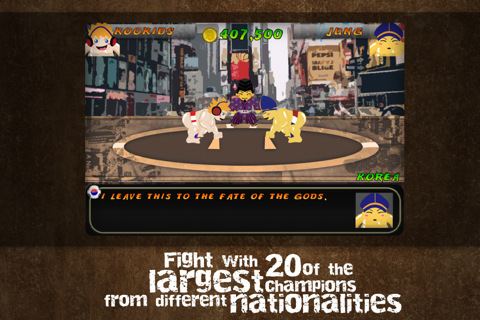 Then take on the biggest challenge ever and sign up as a Sumo Fighter! The rules are simple either you push out your enemy out of the ring or you give them a throw down and make them touch the ground with your strength. Have a full scale battle with 20 of the largest fighters around the world with 4 divisions in different locations. As the tournament progresses you’ll earn notoriety among the fighters and of course money so you can brag to your friends how you became the YOKOZUNA – A champion of Sumo Fighters!